I am writing this in what I consider to be the most vibrant city in the Far East: Hong Kong. What a fantastic place. This super-densely populated metropolis is lightening fast paced and feels like a city where things happen; where you are in the engine room. I love it. And because I love this place I thought I would share with you a few highlights, tips and thoughts for when you visit the Frangrant Harbour city. Before I dive into that, I have to share with you my experience travelling from the airport to the hotel. We pile into the taxi. Despite my previous packing advice and Matt's protestations we have seven cases...again. They can barely all fit into the car. On the hatrack behind us, in the front next to the driver and loaded into the boot to the extent it cannot actually close, there are cases everywhere. 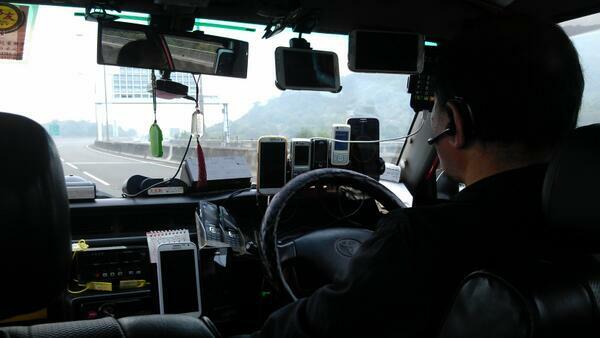 Now, I don't understand a word of Cantonese but I don't need to in order to make out that the driver is quite clearly fully perpetuating the stereotype of taxi-drivers having a lot to say. He is hurtling us in this case laden vehicle towards central Hong Kong talking, loudly, at all times on 5, yes 5, mobile phones. Lined up on stands across the dashboard of the car he jumped from one phone to the other, using a web of ear-pieces and handsfree gadgets. He managed to talk constantly on all 5 phones, make intermittent paper notes of said conversations using a notepad he had positioned on the door arm rest, all while driving us, fast, toward the city centre. What a start. Hong Kong has loads of excellent world famous hotels, and they are surprisingly reasonably priced considering the global nature of this great city. Names like The Peninsula and the Mandarin Oriental are quite literally legendary hotels. Both are absolute musts, even if only for a visit for drinks. As Matt has worked in Hong Kong he knows the city fairly well and so he had sought out the very chic Icon, in Kowloon. This 5-star highrise is amazing. 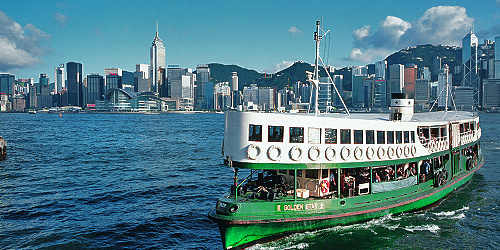 Hong Kong is known the world over for its iconic harbour and dramatic skyline. We had two high floor harbour view rooms, one for us; one for Cole, giving us sweeping views across the harbour and Hong Kong island. 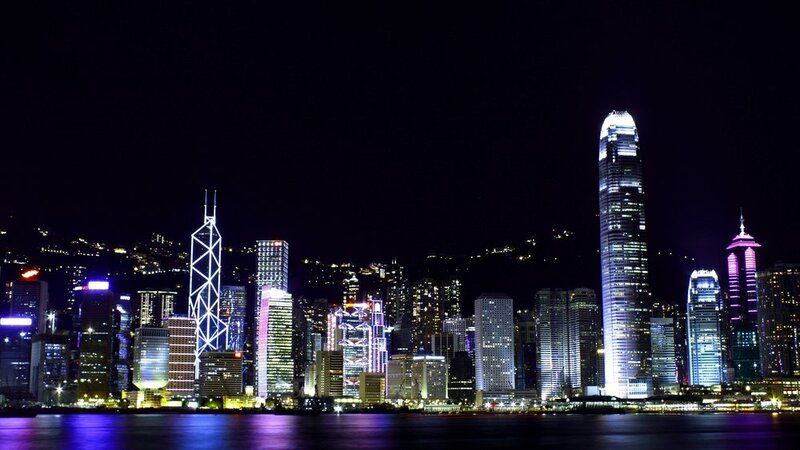 Just like you want to see the Eiffel Tower in Paris or the Statue of Liberty in New York, in Hong Kong it is the view of the city skyline that you want, and the Icon gave us plenty of that. The hotel is super cool, has two amazing restaurants and a bar (with a view) on the 28th floor. It has a gym, also with a harbour view which looks out over the hotel's infinity pool. Very stylish luxury. This city is also blessed with an amazing array of restaurants and eateries. From the sublime to the ridiculous. Grease soaked, MSG enhanced Cantonese street food (which I, obviously, did not touch) through to top-shelf Michelin star quality - whether Chinese or European. And it is in this city that I had one of the best meals I have ever eaten. 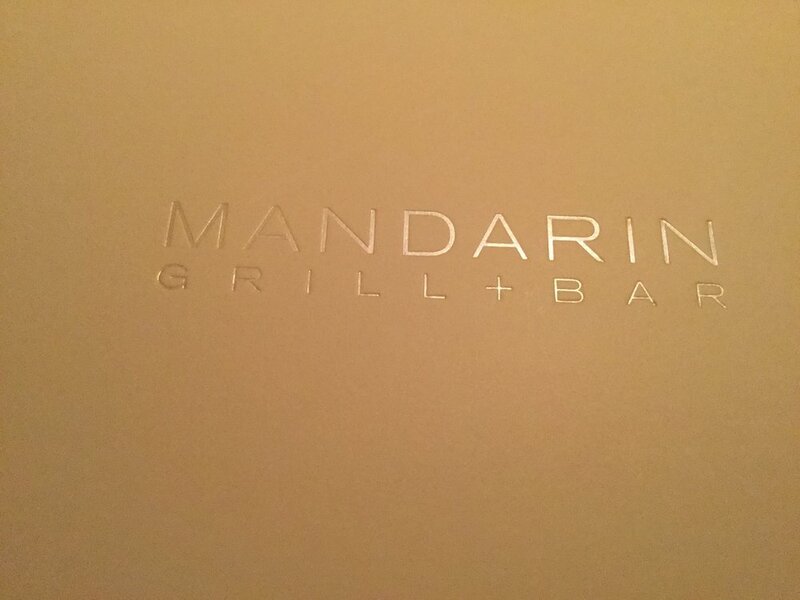 The Mandarin Grill + Bar at the Mandarin Oriental. The restaurant is the proud holder of a coveted Michelin star, and you will find out why if you dine there. The food and service are simply sublime. I probably fall into the "fairly difficult diner" category when we eat out. If we are eating somewhere nice and/or pricey, I usually have expectations to match. So often those expectations are not fully delivered on. This place by far exceeded expectations. It was exceptional. If you come to Hong Kong, do go to this restaurant. It is expensive but totally faultless. I also need to mention one important tourist attraction. It is not so much a tourist attraction as part of the fabric of Hong Kong. It is the Star Ferry. These boats are both a tourist attraction and a key part of the city's public transport system, and have been so forever. Running from Kowloon to Central Hong Kong, a seat on the lower deck costs the princely sum of 2 Hong Kong dollars (about US$0.15). It is noisy and smells of diesel but gives you an unparalleled view of the harbour, the skyline and Victoria peak in the background. There really is no better way to see this great city. Hong Kong is a real melting pot of cultures; particularly east Asian cultures. I experienced this as we strolled around Central Hong Kong yesterday. As we approached a pedestrian underpass, quite literally thousands of Filipino and Indonesian women - I understand domestic workers on their day off - lined the underpass on either side. Five or 6 deep. Talking; singing; drinking; doing each other's hair, painting nails and laughing (see the pics posted on my Instagram page). They congregate there in this urban metropolis where everyone and everything vies for every last square inch of space in the same way others do elsewhere in parks or on beaches, to spend their social free time together. An amazing sight the like of which I have never seen before, anywhere. Last but by no means least, as you all know I am very proudly Welsh. I enjoyed watching Wales play and win in the Euro 2016 quarter final last night. It was amazing. Very late at night/early in the morning in a sports bar here in Hong Kong we screamed for our team, sporting my interpretation of patriotism combined with haute couture. Immac. This topped off an amazing weekend in this amazing city. So there you have it. If you want to get down in China town head to Hong Kong. A global mega-city. Frenetic, fast paced, sticky, cultured and cool. I love it. Look out for my GHD promotion prize draw on the immaclife facebook page and on my Instagram.